Monster Energy Yamaha rider overcomes main event fall for top 10. 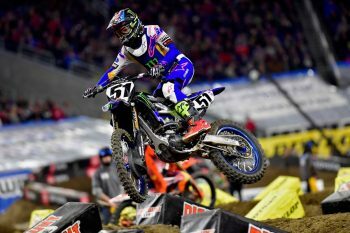 Justin Barcia believes he was back to his usual self at the weekend’s sixth round of the 2019 Monster Energy AMA Supercross Championship in Minneapolis after suffering a heavy fall last month at Anaheim 2. 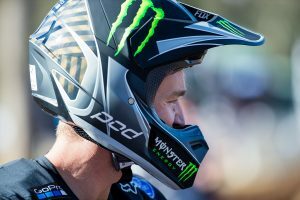 The Monster Energy Yamaha Factory Racing rider experienced a mixed start to his campaign, capturing victory at the season-opener before recording a DNF at A2, while a technical issue ruled him out of San Diego’s mudder. Despite crashing in the main, Barcia charged back to ninth at Minneapolis, although he believes he was in with a podium chance in Saturday’s 26-lap affair. 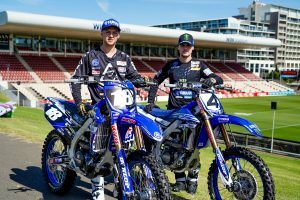 “Going into the main event I didn’t make any bike changes, or anything like that I was really comfortable,” Barcia commented. “I was right on the main pack of guys in front of me, I just came into the corner pretty quick, pushed my front end and ended up going down pretty hard and rode home to ninth. “For me it was a frustrating race to say the least because I felt like I was capable of being on the podium tonight and fighting for the win. It’s definitely frustrating, but I felt like I was back to myself again, comfort wise and stuff, I felt good on the bike. The main was taken out by Red Bull KTM Factory Racing’s Cooper Webb – his third of the season – followed by points leader Ken Roczen (Team Honda HRC) and Marvin Musquin (Red Bull KTM Factory Racing).